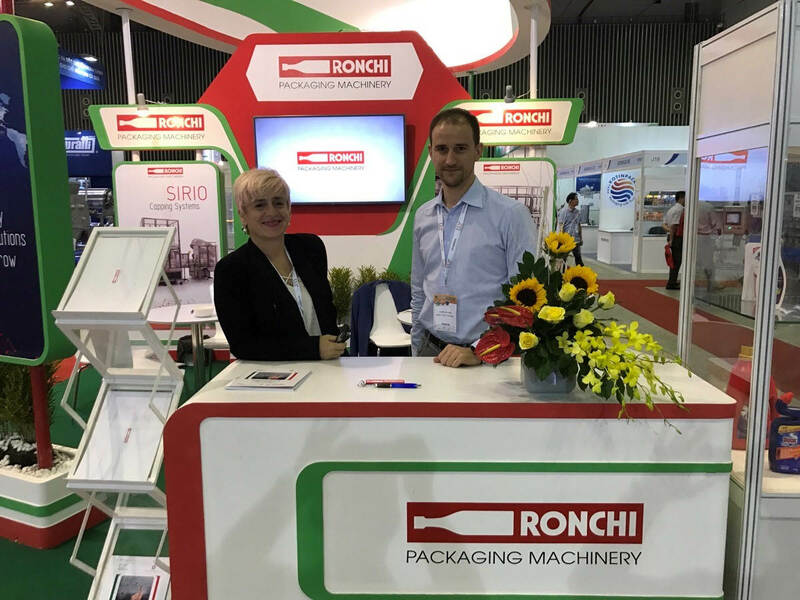 From 23rd to 25th of March 2017, Ronchi Mario Spa exhibited its innovative technologies at PROPAK VIETNAM, the international trade event for the food, drink and pharmaceutical processing and packaging industries in Vietnam. The fair registered a visitor increase of about 9.4% from the previous show, with the top five visiting overseas countries and regions: Japan, Malaysia, Singapore, South Korea and Thailand. RONCHI is absolutely satisfied with the results achieved at the fair, with a great number of visitors coming, even thanks to the joint participation with other Italian companies belonging to the net “Processing & Packaging: the High Tech Italian Way”, organized together to bring the Italian excellence for processing and packaging abroad. For the second consecutive year, Ronchi Mario Spa decided to participate to this important fair during a period of great changes for this market. In fact, on the 1st of February 2016, the text of the EU-Vietnam free trade agreement was published, recognising a longstanding and strong partnership. The agreement aims at enhancing the trade relations between EU and Vietnam, to further strenghten the economic integration efforts, the investment relations and the sustainable development, desiring to raise living standards, promote economic growth and stability, create new employment opportunities and improve the general welfare. It is the first fair attended by Ronchi Mario Spa in 2017. The next, and more important one at an international level, will be held in Dusseldorf from 4th to 10th of May 2017. We wait for you at Interpack 2017, Hall 8 A – Stand 48 A, with lots of news for the packaging machinery world and with a completely new stand style.